The hospitality profession is a rapidly growing industry of the economy, and hospitality workers can stay up-to-date on the current trends in their occupation by attending professional conferences and gatherings. The Northeast is a great region for hospitality workers to find employment that leads to meaningful, high-paying careers in their field. It’s also a region where many of the top hospitality conferences take place every year. The hospitality conferences on this list represent the best professional gatherings taking place in the Northeast in 2019. The International Restaurant and Foodservice Show is an annual gathering that showcases the restaurants, hotels, bars and other foodservice establishments open to the public in the Northeast. The event is scheduled to occur in early March, and hospitality workers interested in making professional contacts in the New York area can attend the gathering and get to know the people who share their occupation. As the title suggests, the International Restaurant and Foodservice show is a gathering of hospitality workers from all over the world. Hotel and restaurant employees in the Northeast have the opportunity to meet people from all backgrounds and cultures. Every year, the New York Times hosts the Travel Show for hospitality professionals to meet and engage with people in the industry. It is scheduled to be held in late January of 2019 and will include appearances from well-known personalities in the field of hospitality. According to the New York Times Travel Show website, the Travel Show will take place at the Jacob K. Javits Center and will host more than 30,000 attendees. With over 560 booths and 280 industry experts in attendance, the Travel Show promises to be a major event in the Northeast hospitality industry. Many unique, independently owned hotels exist in the Northeast, and the Boutique Hotel Investment Conference gives hospitality employees and entrepreneurs a chance to learn about the local business climate. The conference is planned for June in New York City, and it will include appearances from some of the Northeast’s top restaurateurs and culinary professionals. Waiters, waitresses, bartenders and other hospitality workers can attend the conference and make professional contacts with important figures in the industry. New York University has been hosting the International Hospitality Industry Investment Conference for over 40 years, and 2019 is set to be a memorable year for the professional conference. NYU is an international destination for professionals in a wide range of industries. The hospitality profession is one of the most popular choices for students attending the world-renowned university. The Hotel Experience conference is a New York hospitality industry event hosted each year in November. The 2019 gathering will include appearances from the top chefs, restaurant owners, bartenders and caterers in the region. It is organized by the American Hotel and Lodging Association, and all members of the hospitality industry are invited to attend. The event will last for two days and focus on modern trends and innovations in the industry. 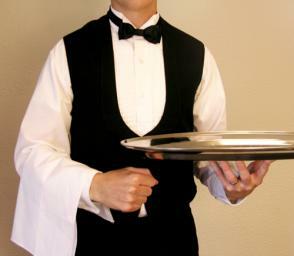 The hospitality profession is one of the most dynamic and fascinating industries in the economy. People from all over the world contribute their expertise to the field of hospitality, and the Northeast conferences of 2019 are set to showcase the best of what the industry has to offer.